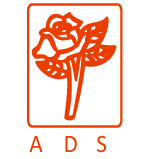 ADS is an association of individuals, groups and organizations adhering to the principles and practices of democratic socialism or social democracy (we use these terms inter-changeably). The organizations consist of trade unions, political parties, or their members, development organizations, civil society organizations and so on. ADS is open to all those who accept democracy and socialism as fundamental and inter-related principles at the development of people and society. Amongst its goals, the principal one is to provide a platform for politicians from across the parties for enriching their understanding of social democracy and helping them promote it in their respective parties. Since there is no single all-India social democratic party in existence, ADS come handy as non-party or all-party platform to comrades associated with various parties for the sake of political electoral exigencies. The platform is accessible to all those comrades who are active outside the political parties. The Association for Democratic Socialism (ADS) aims at the establishment of an egalitarian society where the economic and social privileges of individuals and classes are abolished and where there is democratic socialist control of economic resources.